Maintaining comfortable conditions in your home is an integral part of securing a high quality of life for your family. That’s why your household needs a climate control system that can adequately cool and heat your living spaces. At Atlantic Shores Heating and Cooling, our focus is to help our customers enhance their health and comfort. When you welcome our team of NATE-certified service technicians into your home or small business, you’ll always receive exceptional assistance. From the moment you contact us to the minute we complete your air conditioning service, you can expect to receive expert advice, professional workmanship and always feel like we put you first. We are a family-owned business founded in 1995. We carry and install the most advanced HVAC technology on the market. 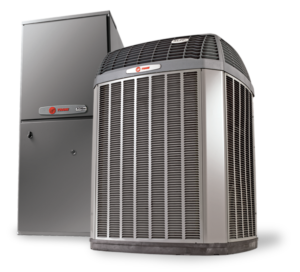 We offer fair and upfront prices for all of our HVAC systems and services. We remain honest and transparent with every customer who chooses us. The sweltering summertime temperatures can cause your air conditioner to overwork itself to meet your demands. If you have a habit of turning down the thermostat often in hopes of cooling your home faster, your AC system will eventually break down. When you need an air conditioning repair, you can depend on Atlantic Shores Heating and Cooling to come to your rescue. Our team of experts can repair, install and maintain all cooling systems, including central air conditioners and ductless mini-splits. In addition to air conditioners, our friendly service technicians are also trained to repair, install and maintain all types of heating systems. If your furnace or heat pump starts malfunctioning, rest assured we’ll restore your comfort right away. Our service technicians are also qualified to work with geothermal and HVAC zoning systems. Poor indoor air quality is more than a mere nuisance to your everyday life. It’s a prevalent and oftentimes invisible threat that every homeowner should take seriously if they want to prevent harmful health effects. At Atlantic Shores Heating and Cooling, we strive to not only educate our customers about the consequences of poor indoor air quality but also arm them with the right IAQ solutions to combat it. We also perform duct cleaning, and with our team’s help, your family will be breathing healthier air in no time. Operating a business, no matter how big or small, requires focus on every facet of what happens in your office or retail store. You also must know how to retain happily productive employees and keep satisfied customers coming back. Atlantic Shores Heating and Cooling has years of experience operating a successful business, and we believe comfort is a cornerstone of every business’s success. That’s why we perform light commercial HVAC services for our fellow small business owners. Atlantic Shores Heating and Cooling doesn’t rely on marketing gimmicks to attract new customers. Our outstanding work speaks for itself, and we continue to offer our services because of the many customer referrals we receive. We’re grateful for every referral, and to show our appreciation, we give a $200 Visa Gift Card to every customer who refers family or friends to our business. To qualify for the referral reward, the new customer must have their HVAC system installed within 90 days of you referring them. Are you in need of emergency HVAC service in Ashland, Chesapeake, Glen Allen, Henrico, Mechanicsville, Portsmouth, Richmond, Smithfield, Suffolk or the surrounding areas in Virginia? Contact the team at Atlantic Shores Heating and Cooling today. I highly recommend this company to anyone with HVAC needs. They are always available and we’ve used them several times to get replacement parts. They always have them and they are very courteous and professional. The best!!!! We went through Lowe’s and Atlantic Shores took care of us. I was very impressed with the workmanship and professionalism of those that did the install. We got a great product and feel we got a great price. We had a problem, but it was fixed expeditiously. Well done Atlantic Shores HVAC! Great Price on a whole new complete system and the installation went perfect. If you need a new system or repairs to your old system, I highly recommend them. They are true professionals. We will be doing business with them from now on.